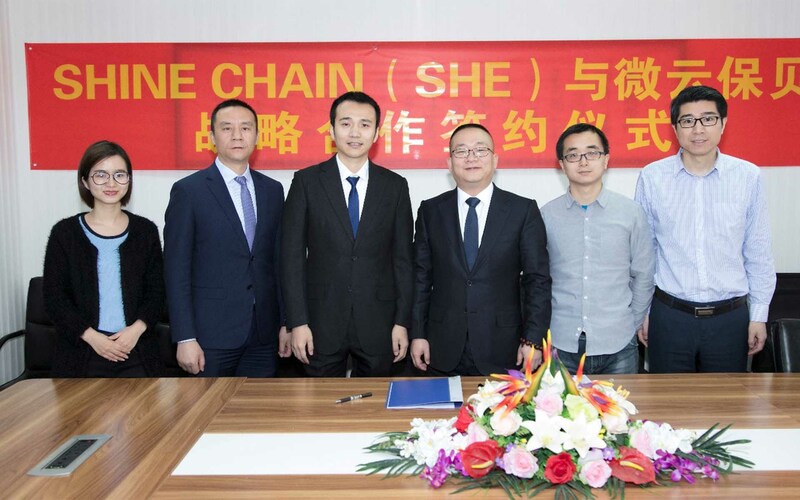 On February 3, 2018, ShineChain and Weiyunbaobei Network Technology Co., Ltd. reached a strategic partnership at the headquarters of Weiyunbaobei in Beijing, China. This partnership can lead Weiyunbaobei’s existing platform of over 200,000 drivers and leading insurance providers to enhance the utility of ShineChain Token (SHE). Participants in this network will be given SHE tokens when they use the Weiyunbaobei’s Gas App, Baobei Gas to purchase discounted gasoline, repair services, roadside assistance or any other vehicle services within the network. All tokens can be used for buying some cost-effective insurance coverages later. Critical Illness Insurance covering cancer and 30 other diseases. ShineChain is using blockchain technology to reinvent the insurance marketplace. Led by its CEO Jin Hui, the ShineChain Foundation has a dedicated team of experts with extensive industry experience, who are ready to bring their vision to reality. ShineChain’s leadership are experts in their respective fields. They include Senior Economist Jin Hui, who serves as CEO, Oxford Ph.D. graduate, University College London Blockchain Researcher Dr. Hugo serves as the CTO, Engineer Peng Song serves as the CIO, and Veteran Alibaba Manager Wang Jinlong serves as the COO. The partnership of ShineChain and Weiyunbaobei is a perfect synergy. It will allow Weiyunbaobei to improve the efficiency of its operations by integrating blockchain technologies while giving ShineChain’s Mutual Insurance product access to Weiyunbaobei existing customers. SHE token integration into the Baobei Gas app will be fully deployed on the week of February 12, 2018. Stay tuned for more details. * WeChat is a Chinese multi-purpose social media mobile applications. It is one of the world’s largest mobile apps, with over 902 million daily active users.